I made these little stamps using some of the scriptural passages found at Sancta Sanctis' Greatest Catholic Quotes of All Time Please help yourself. The following article was shared by Sue Cifelli. It is a beautiful love story of a couple finding love for the first time. "Distribute the proceeds to the poor." "The Lord frequently reveals what is best to the least." "...those who are a mirror and example to others may be reflected in us." 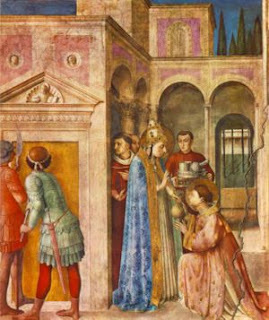 In the painting by Fra Angelico we see St. Lawrence receiving the Church's treasures from St. Sixtus. "I shall not leave thee, my son, but greater strifes and battles be due to thee for the faith of Jesus Christ. We, as old men, have taken more lighter battle, and to thee as to a young man shall remain a more glorious battle of which thou shalt triumph and have victory of the tyrant, and shalt follow me within three days." As you may know, Pope Sixtus was martyred a few days before Lawrence was. 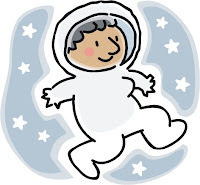 He was given a few extras days to bring emperor Valerian all of the Church's treasures. 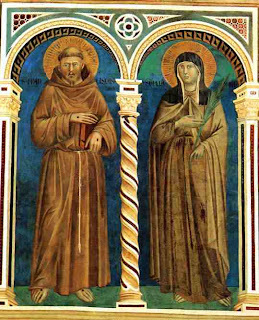 It was a few days following Pope Sixtus' martyrdom that Lawrence brought the poor people to the emperor and presented them as the Church's treasures. Valerian then had Lawrence burned on a gridiron. "I had given up practising my Jewish religion when I was a 14-year-old girl and did not begin to feel Jewish again until I had returned to God". "My longing for truth was a single prayer". "As for what concerns our relations with our fellow men, the anguish in our neighbor's soul must break all precept. All that we do is a means to an end, but love is an end in itself, because God is love". "Who can sleep on the night that God became man?" you wouldn't dress like that! That is the way my mom would react when we tried to dress inappropriately for Mass. I have seen girls and women dressed in short, shorts, tank tops, etc. at Sunday Mass and I don't understand how they justify this behavior to themselves. What are they thinking??? I have posted on this topic before so I won't burden you with my opinion on this issue. 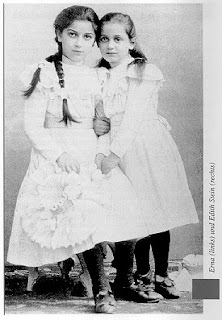 But I recommend you reading Ebeth's Post as well as her link to Bishop's Vasa's letter. The Hawai'i State Art Museum will host a family fun day on Saturday, with free tours and sessions on jewelry making and portrait drawing. The art activities run from 11 a.m. to 3 p.m. Participants will make a beaded bracelet and learn how to make simple, life-like portraits at no cost. The museum is open from 10 a.m. to 4 p.m.
For more information, call 586-0304. I've recently seen an interest at the Catholic Answers Forum, for the Catholic blinkies I previously posted. So, I made a few more today. Please help yourself. 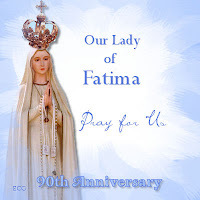 October 13th is the 90th anniversary of the apparition of Our Lady at Fatima. 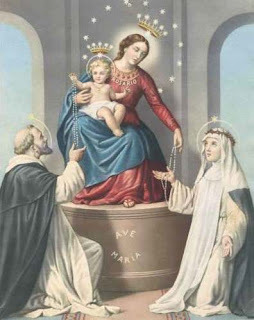 In commemoration of this historic date, there will be a national public square Rosary event. 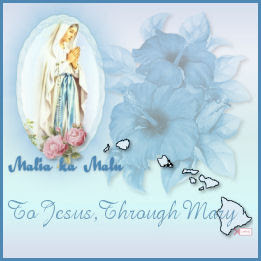 In Hawaii, the plans to hold the public square Rosary are in the works. Renee Morimoto. and Josephine Yu. will be in charge of the one in Honolulu. UPDATE: Details for the Hawaii time and place to be announced and confirmed as Bishop Silva is also scheduling a Rosary event to commemorate this date. See details below. IMPORTANT: The following was announced at the Nocturnal Adoration last evening by our leader Leonard. On Friday evening, at 7:00 p.m., our Bishop, Larry Silva, will lead the Rosary prayer in honor of the 90th anniversary of our Lady of Fatima. He said that he does not remember a bishop in Hawaii leading a Rosary like this in a very long time. He indicated he seemed to recall that may have happened when he was a young boy. Please show Bishop Silva how much we appreciate his involvement in devotions by participating in this event. I guess this will certainly come in handy, won't it? H/T to Ma Beck who ever so lady-like entitled the post Tutorials?? We don't need no stinkin' tutorials!! Ha ha. You've gotta love her! Thanks Ma. The Lord led the holy man to two doors. He opened one of the doors and the holy man looked in. In the middle of the room was a large round table. In the middle of the table was a large pot of stew which smelled delicious and made the holy man's mouth water. The people sitting around the table were thin and sickly. They appeared to be famished. They were holding spoons with very long handles that were strapped to their arms and each found it possible to reach into the pot of stew and take a spoonful but because the handle was longer than their arms, they could not get the spoons back into their mouths. The holy man shuddered at the sight of their misery and suffering. The Lord said, "You have seen Hell." "It is simple," said the Lord, "it requires but one skill. You see, they have learned to feed each other, while the greedy think only of themselves." The School of Ocean and Earth Science and Technology (SOEST) at the University of Hawaii at Manoa is pleased to announce that the 9th SOEST Open House will be held on October 19th and 20th, 2007. On behalf of the Dean of SOEST and the Open House Planning Committee, we would like to invite you to attend this year’s Open House. I must admit that this is the first time I have read it and it made me cry. I was surprised by my reaction since it is not a sad book. Then I realized it reminded me of when my Joey was born. He didn't have a mother's loving arms to hold him. My poor baby and I would not be brought together until 5 years later! But all in all, our family is grateful that his birth mother chose life for our son. Please consider ordering this book for yourself or as a gift. 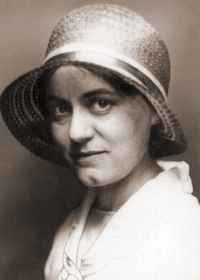 You in turn will be helping out Sophia Institute Press known for their quality Catholic books. "if you cannot weep for your own sins, because you have none, still there are many sinners to be directed to God's love and mercy . . . and for their sake too Jesus wept when he saw them." Fifth Annual Worldwide Children’s Holy Hour Program. Most Reverend Robert W. Finn, D.D., Bishop of Kansas City, Saint Joseph, will lead the Children’s Holy Hour, and EWTN will broadcast the event LIVE from the Basilica of the National Shrine of the Immaculate Conception in Washington, DC, to over 40 different nations. View Bishop Finn’s LIVE 90 second invitation here. Father Patrick Byrne, Secretary General of the Pontifical Mission of the Holy Childhood Association, will lead thousands of children in prayer at the Cathedral, in Saint Paul, Minnesota. Who pray for PEACE in our Families and the World! (ST. PAUL, MN – August 6, 2007) The World Apostolate of Fatima USA Children’s Program Children of the Eucharist will host its fifth annual Worldwide Children’s Holy Hour at the Basilica of the National Shrine of the Immaculate Conception in Washington, DC, on First Friday, October 5, 2007. Once again the worldwide event will broadcast Live via the Eternal Word Television Network (EWTN) at 10:00 AM (EST). Most Reverend Robert William Finn, D.D., of Kansas City ~ St. Joseph, will lead the Children’s Holy Hour of prayer. You can view Most Reverend Bishop Finn’s LIVE invitation here. 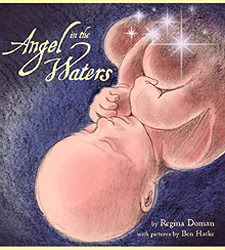 Irish singer Dana will lead the children in their theme song: We are the Children of the World, Answering His Call. The Children of the Eucharist program invites and encourages bishops, parish pastors, school principals and families around the globe to plan "little pilgrimages" to their local shrines, diocesan cathedrals, parish churches and chapels, as they gather the school children and all the children of the world before the Most Blessed Sacrament, to pray the “World Mission Rosary” for peace in our families and the world. We are hopeful, that corporations and people of influence and means will come forward and help "Children of the Eucharist" so we can move forward to spiritually benefit all the children of the world. "This is My beloved Son. Listen to Him". The Feast of Transfiguration is observed on August 6. This foretells the glory of the Lord as God, and His Ascension into heaven. 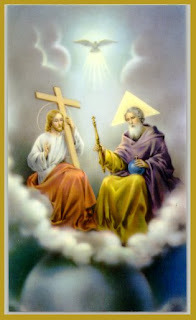 It anticipates the glory of heaven, where we shall see God face to face. Through grace, we already share in the divine promise of eternal life. As we celebrate the Feast of the Transfiguration we are reminded on Christ who was beginning to teach his disciples that He must die and rise again. Jesus revealed Himself in shining splendor to Peter, James and John. Moses and Elijah were present and are taken to signify that the Law and the Prophets testify Jesus is the promised Messiah. During this glorious event, God the Father also proclaimed Jesus as such by saying, “This is my Beloved Son. Listen to him." 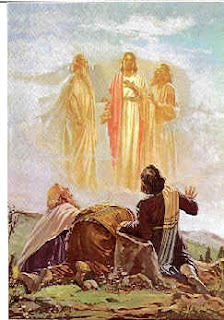 The purpose of the Transfiguration was to encourage and strengthen the Apostles who were depressed by their Master's prediction of His own Passion and Death. The Apostles were made to understand that His redeeming work has two phases: The Cross, and glory—that we shall be glorified with Him only if we first suffer with Him. Hence, the Feast of Transfiguration has a profound and sublime lesson for all times, and for Christians of all sorts and conditions. In this earthly life we must not expect every hour to offer us joy, pleasures and glory, even if we seek these with an honest and legitimate purpose. community and across the country -- to join together in a nationwide day of prayer and fasting TODAY, Monday, August 6.
knees and turn this entire effort over to God. for each person's unique role in this effort. Lord, no matter how unworthy I may feel, I hope to be with You in Heaven some day. I place all of my hope in You, relying on Your goodness, wisdom and love. Help me to prove this hope by a loyal following of Your holy Will in all that happens to me today. I will deal with all things and events as You desire; that is without pride, impatience, or any other form of selfishness. I will use whatever I need with the intention of pleasing You rather than pleasing myself alone. In my use of earthly remedies, I will not forget that Your holy Will is still governing every move I make. Never will You abandon my hopes. Do with me as You see fit, since no one knows and seeks my welfare more than You. Amen.